What’s special about Premax Arnica? First of all, Premax Arnica has the smoothest, most silky, high quality texture you’ll find in any massage cream. Secondly, it’s packed full of skin friendly ingredients like Vitamin E, Aloe, Shea Butter and Cocoa Butter that make skin feel soft, hydrated, and soothed. Not greasy. And last of all, it contains Arnica, Ginger and Olive Oil, so it’s an ideal choice when massaging sensitive or injured areas, and also for recovery sports massage. For therapists, it’s a medium resistance massage cream that will allow you to glide when you need to glide, and grip when you need to grip. Just use a little more or less depending on what you need. 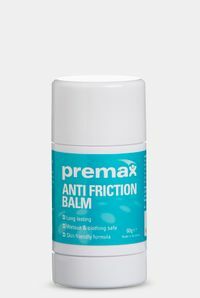 Premax Arnica will enhance your manual skill, allowing you to get a better feel for the treated tissues, and better control your glide and pressure. You’ll perform better treatments with Premax Arnica. For athletes and patients, you will notice the difference when you’re treated with Premax Arnica. Your skin will benefit – feeling smooth, soft, hydrated and clean after treatment. Not clogged or heavy. You’ll be able to jump back into your sports kit or business suit straight after treatment without needing to shower first. How should you use Premax Arnica? Premax Arnica can be used for any massage application, however is best suited to sports recovery massage, or the during the treatment of sensitive of injured areas. For small treatment areas, just enough to cover two finger tips should last an entire treatment. For larger areas, use a little more cream. A thin film of cream is all that’s required for effective treatments, so don’t use too much! 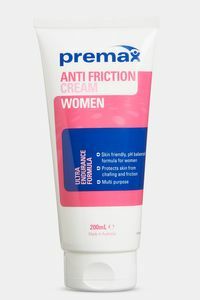 If you need a cream with more traction and grip, our Premax Original is what you need. If you’re looking for a product will more glide and slip, please take a look at our Massage Lotion. “Rugby League is a sport full of bumps and bruises, so I need a massage product that is suited to treating these injuries. Lucky for me and the players, Premax Arnica Massage Cream fits the build perfectly. It’s a two in one product, a soothing arnica cream and massage cream in one. There’s nothing else like it”. Premax Arnica combines Arnica, Ginger, Olive Oil, Beeswax, Lanolin Wax, Aloe Vera, Vitamin E, Magnesium, Castor Seed Oil, Sweet Almond Oil, Shea Butter, and Cocoa Butter. The cream has no scent. Apply small amount evenly to skin and massage as required. If rash or irritation occurs, discontinue use. Please store below 30°C and keep the lid on when not in use. 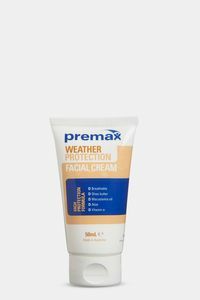 Premax products are fantastic at providing the perfect balance between glide and traction and as an added bonus they contain stable ingredients that do not melt or separate in hot conditions. I’ve been fortunate enough to travel the globe with my work as a physical therapist, and I only use Premax wherever I am. If I had to pick one as a favourite it would be the Arnica massage cream. It’s smooth, has just the right amount of traction, is packed full of amazing ingredients, and lasts for ages. Patients love it and always ask if they can buy it. Great texture. My favourite is the Arnica Massage Cream.